To support AEP Ohio’s program application to the Public Utilities Commission of Ohio (PUCO), in which the company sought to install 1300 electric vehicle charging stations over four years, E3 performed a cost-benefit analysis of plug-in electric vehicle (PEV) adoption in the company’s service territory. To do this, E3 developed a statewide PEV adoption forecast and estimated costs of PEVs and charging stations as well as the electric grid costs of serving PEV charging loads. E3 also quantified the benefits of PEV adoption, which primarily result from reduced gasoline and vehicle maintenance costs. E3’s analysis — which found net benefits of $1,600 per vehicle in Ohio, and utility ratepayer benefits of $1,470 per vehicle — provided credible, independent support for AEP Ohio witness testimony. After analyzing the costs and benefits of plug-in electric vehicles (PEVs) for Seattle City Light (SCL), E3 worked with SCL and five additional utilities to complete a Northwest regional analysis covering Washington and Oregon that assessed costs, benefits, opportunities and challenges for the region as a whole and for each utility. E3 investigated the value of PEV adoption from ratepayer and societal perspectives, quantified forecasted load impacts and greenhouse gas emissions, and assessed the value of managed charging in each utility’s service territory, modeling light-duty vehicles as well as taxis and car share vehicles, parcel trucks, buses, and forklifts. Overall, the study found that the region would benefit from transportation electrification through lower overall spending on energy and reduced greenhouse gas emissions. E3’s final report, completed in March 2017, contained extensive documentation for each utility. E3 utilized its deep rate design experience and robust vehicle electrification modeling capabilities to help the California Transit Association (CTA) develop electricity rate structures to promote widespread transit electrification. E3 worked with CTA member agencies to develop key data sets for charging profiles and candidate rate designs. This involved gathering extensive data to create accurate charging profiles for public buses, which differ in terms of charging locations (on route vs. at depot), charging times, and route lengths. E3’s modeling also incorporated forecasted changes in charging technologies as well as current and future bus technology configurations. E3 then developed a wide range of potential rate structures with various time-of-use energy charges and demand charge structures and levels, each of which was designed to be revenue-neutral so that any design could be implemented as an option for the relevant customer class. This project quantified the importance of rate structure selection in delivering value for both “smart” and un-managed charging and informed the ongoing discussion among utilities, regulators, and transit agencies. CTA represents more than 200 member organizations, including all of California’s largest urban transit operators and dozens of agencies in suburban and rural areas. E3 provided the Hawaiian Electric Companies significant support in developing an industry-leading “Electrification of Transportation Strategic Roadmap,” filed in 2018, which outlines key utility initiatives and partnerships designed to realize economic and environmental benefits associated with EVs. In formulating and drafting the Roadmap, E3 developed a rigorous, data-driven approach to identify high-impact utility actions to promote EV adoption, minimize costs and grid impacts, and capture maximum benefits for utility customers. The Roadmap quantifies the significant benefit that EVs are predicted to provide to ratepayers and the state’s economy between now and 2045: up to $1,800 and $2,700 per vehicle, respectively, if more vehicles charge during periods of solar abundance. EVs will also support Hawaii’s ambitious goal of 100% renewable energy by 2045, provide significant CO2 reductions and local air quality benefits, and substantially reduce reliance on imported oil. Near-term priorities include: 1) customer outreach and education; 2) partnering with third parties to build critical charging infrastructure; 3) supporting customers’ transition to electric buses; 4) aligning EV charging with grid needs; and 5) coordinating with ongoing grid modernization efforts. With more than two decades of experience in Hawai‘i, E3 is now helping the Hawaiian Electric Company (HECO) plan for the grid transformation needed to reach 100 percent renewable generation by 2045. Our long-term analysis supported development of the utility’s Power System Improvement Plan (PSIP), with modeling centered on individual island plans and interisland transmission. The study develops least-cost expansion plans for each island using a variety of policy cases and fuel price forecasts. E3 used its Renewable Energy Solutions model (RESOLVE) to explore the economic trade-off between renewable curtailment and investments in storage, and to develop least-cost expansion plans consistent with each scenario. We also solicited and incorporated stakeholder input. HECO filed the PSIP, including testimony and support from E3, with the Hawai‘i Public Service Commission in December 2016. E3 supported San Diego Gas & Electric (SDG&E) in its successful application to the California Public Utilities Commission to launch a pilot program that uses pricing to efficiently integrate electric vehicle (EV) charging in an increasingly renewable grid without contributing to local distribution capacity shortages. SDG&E devised a dynamic vehicle grid integration rate to encourage EV charging at times when high renewable generation depresses wholesale energy prices. The tariff also discourages charging during peak distribution hours. E3 used its EV Grid Impacts Model to show that EV owners that shift their charging in response to the proposed rates would reduce their per-vehicle charging costs to under $600 annually from around $1,400 per year on the current time-of-use rate. The modeling used projected wholesale energy prices in high-renewable scenarios developed using E3’s stochastic production simulation tool, Renewable Energy Flexibility Model (REFLEX). The commission approved a modified version of the proposed program in 2016, and SDG&E is now implementing the pilot. E3, working with the New York State Energy Research and Development Authority (NYSERDA), developed an innovative retail electric rate design to encourage beneficial customer investment in distributed energy resources (DERs), a leading goal of the New York Public Service Commission’s Reforming the Energy Vision initiative. Our conceptual full-value tariff (FVT) has three components: a customer charge, a size-based network subscription charge, and a time-varying kWh price. The network subscription charge may vary by location to reflect local transmission and distribution costs. We modeled customer response to the FVT to assess its impact on the value proposition of DER technologies, such as energy storage, smart thermostats, and smart vehicle charging. The analysis showed that the FVT can yield savings from measures that are not encouraged under existing rates, while still compensating solar PV and energy-efficiency measures in high-value locations. The FVT conceptual framework underpins the Smart Home Rate demonstrations that New York’s investor-owned utilities filed with the commission in February 2017. E3 has supported electric rate design in Hawai‘i since 2005. Currently, E3 is assisting Hawaiian Electric Company (HECO) on next-generation retail pricing strategy and rate designs that align with the state’s goal of meeting its 100 percent renewable portfolio standard (RPS) requirements in a way that encourages cost-effective deployment of customer-owned distributed energy resources. HECO first retained E3 to recommend a strategy for developing rates that would encourage conservation to mitigate the impact of high electricity supply costs on its customers. We recommended a three-tier inclining block structure, which is still in place, to minimize increases on small customers and provide conservation incentives to large customers. We also helped get the rate approved, preparing direct testimony and presenting to the utility’s board of directors. Macquarie Capital turned to E3 for analysis and strategic advice on a potential investment in a 50 MW distributed storage project developed by Advanced Microgrid Solutions (AMS) in the Los Angeles Basin. We performed simulations to verify AMS’s internal modeling of the benefits, costs, and value proposition of behind-the-meter, customer-sited storage assets. To understand potential revenue streams over a 20-year period, E3 analyzed the storage project and the underlying business model, forecasting wholesale and retail electric markets. Our financial analysis for the investors and potential lenders was a key element of the due diligence leading to Macquarie’s $200 million financing arrangement with AMS to take ownership of the project. E3 assisted Southern California Edison (SCE) in developing the policy case for its successful application to the California Public Utilities Commission to pilot a ratepayer-funded plug-in electric vehicle (PEV) infrastructure program and education effort. Envisioned as the first phase of a five-year program, the Charge Ready initiative will accelerate the buildout of charging infrastructure by preparing host sites and providing rebates to defray the cost of charging equipment. SCE will recruit hosts in multifamily buildings, workplaces, and disadvantaged communities to ensure that charging is available to a broad spectrum of potential PEV owners. E3 provided supporting analysis, which showed that increasing PEV adoption by 2030 is essential to achieving California’s long-term GHG mitigation goals. SCE also relied on E3’s cost-benefit analysis to show that PEV adoption yields net economic and ratepayer benefits. In January 2016, the CPUC authorized SCE to proceed with the pilot program. The Oregon Public Utilities Commission (OPUC) staff retained E3 to develop a methodology for calculating the value of customer-owned solar photovoltaic resources to ratepayers of investor-owned electric utilities, with the aim of informing regulatory policy. E3 partner Arne Olson served as an expert witness on behalf of the commission staff in a litigated case before the OPUC. Our methodology received broad support from stakeholders, including utilities, environmental groups, solar industry advocates, and consumer advocates. The commission is expected to rule on the proposed methodology in early 2017. E3 worked closely with the University of California, San Diego (UCSD), to develop innovative business cases for utilizing UCSD’s microgrid to provide system-level renewables integration services and integrate UCSD’s onsite solar resources. The UCSD microgrid consists of a 30 MW combined heat and power system that includes natural gas generators, steam-driven chillers, and thermal storage. E3 benchmarked the UCSD microgrid and developed an optimal dispatch model that determines hourly dispatch scenarios for on-campus resources and cost-effective strategies to provide peak load shifting, grid support, and PV firming. Using the model’s results, E3 proposed new tariff designs and incentives that could motivate UCSD and similar customers to use their distributed resources to integrate variable renewable energy. E3, as electric rate consultant to the Port of Long Beach, the nation’s second-busiest port, led negotiations with Southern California Edison (SCE) to achieve electric rate discounts in recognition of the Port’s electrification program and resulting reductions in emissions of GHGs and criteria pollutants. Negotiations led to the California Public Utilities Commission’s March 2014 approval of SCE’s Rate Schedule ME, which provides electric rate discounts and a program under which SCE installs major electric infrastructure at no cost to the port or its tenants. These measures support critical electrification and environmental improvement projects at the Port, which is expected to quintuple its electric usage by 2030. The projects will improve air quality in the region, and rate discounts are expected to yield more than $300 million in savings over the term of the agreement. E3 has been a resource to the Department of Energy’s (DOE’s) Technical Assistance to States program through Lawrence Berkeley National Laboratory since 2008. Our projects help state governments better understand how to implement energy efficiency programs and how to make them cost-effective. E3 has advised utility commissioners and senior policy staff in Pennsylvania, Georgia, South Dakota, Illinois, Arizona, and other states on major aspects of their program designs. We provide accurate information, guidance, and background based on our knowledge of various states’ decisions, and share our expertise in standard industry practice. E3 analyzed the grid impacts of charging light-, medium-, and heavy-duty electric vehicles (EVs) for the California Electric Transportation Coalition (CalETC), a consortium of automakers and utilities. To quantify the distribution system upgrades needed to accommodate residential charging of light-duty EVs, we mapped vehicle registration data with utility distribution system and load data for more than 81,000 circuits and feeders and 2,200 substations; we then modeled costs under different rate and charging scenarios. Even with clustered EV adoption, distribution impacts were modest, and we found that managed charging reduced distribution upgrade costs by 60 percent. For most technologies studied, we showed that EV adoption can actually reduce rates for utility customers while providing net economic, environmental, and societal benefits for California. CalETC’s member utilities used our study to educate regulators and stakeholders about the benefits of EV adoption prior to seeking authorization to invest ratepayer funds in charging infrastructure and customer outreach. E3 created a public tool for the California Public Utilities Commission (CPUC) to inform the development of a successor to existing net energy metering (NEM) tariffs for eligible customer-sited renewable generators. This tool helped the CPUC and stakeholders balance legislative directives to design tariffs that maintain sustainable growth of such generation and ensure that total benefits to customers are approximately equal to total costs. The tool lets users evaluate different rate designs, simulating their impact on adoption of customer-sited PV and on bills for all ratepayers, while accounting for feedback effects on future rates and life-cycle cost-effectiveness. Providing a common model to all parties allowed the CPUC and stakeholders to focus on fundamental differences in proposals and scenarios, rather than on disagreements and confusion over model differences. E3 supports the California Energy Commission (CEC) in implementing the state building energy code by maintaining the economic framework for energy standard requirements and allowed trade-offs for new construction. We have worked with the CEC and its stakeholders since 1999 to continually refine a time-dependent valuation (TDV) methodology, and we are now supporting the life-cycle cost analysis for measures proposed in the 2019 cycle. The TDV methodology uses a 30-year forecast of the social cost of energy that varies hourly and by location to account for shifts in system peaks over time, and regional variations in climate and grid utilization. In the 2019 code cycle, E3 is evaluating the cost-effectiveness of California’s goal to require that all new residential buildings be zero net energy by 2020 and that nonresidential buildings be zero net energy by 2030. We are also assessing the economic and GHG emission impacts of switching to all-electric housing and the value of integrating controllable thermostats and appliances into new buildings. E3 built on a collaboration with Con Edison going back to 2000 to develop an integrated demand-side management (IDSM) model that expands the utility’s distribution planning capabilities. 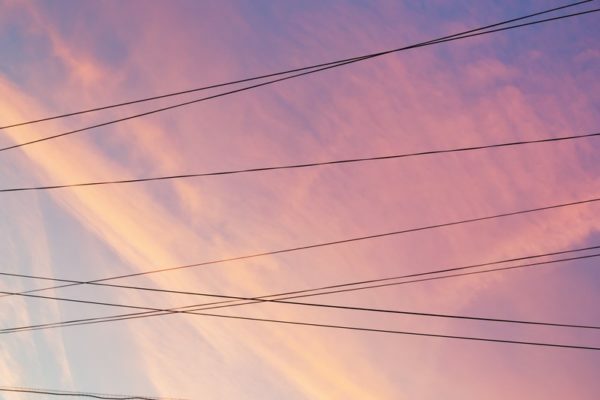 Using detailed data on customer populations, the tool assesses market potential for dispatchable distributed energy resources (DERs) within local electric networks, enabling Con Edison to identify lower-cost ways to alleviate local distribution constraints. Con Edison has integrated the IDSM tool into its distribution planning practices and is using it to help realize the New York State Public Service Commission’s Reforming the Energy Vision initiative. The E3 team continues to refine and enhance the tool, which won the 2014 Utility Analytics Institute Innovation Award. Since 2004, the California Public Utilities Commission (CPUC) has used E3’s Avoided Cost Model (ACM) to estimate the benefits of energy efficiency, distributed generation, energy storage, and other distributed energy resources (DERs). The ACM has evolved along with energy markets and policy in the West, and it currently projects avoided costs for energy, losses, generation capacity, ancillary services, subtransmission and distribution capacity, renewable portfolio standard purchases, carbon allowances, and other air permit costs. The 30-year hourly forecast is differentiated across California’s 16 climate zones. The CPUC approves over $1 billion in annual funding for DERs using these avoided costs for its cost-effectiveness tests. The ACM is suitable for stakeholder processes and contentious regulatory proceedings because it uses robust methods and publicly available input data. E3 also allows the download of the ACM so that all stakeholders can audit any of the calculations.